Back when massive open online courses (MOOCs) were new, I started a project to complete the equivalent of an MBA, using free courses. Platforms such as Coursera and edX were making headlines, and when I learned that leading universities (including business schools) were distributing online courses for free, I was inspired to construct a business education rather than pay an exorbitant amount for a degree. I called the project the “No-Pay MBA” and I blogged about it at www.NoPayMBA.com. I finished my business education in 2016, and wrote a book to guide others interested in doing a self-made MBA (Don’t Pay For Your MBA, HarperCollins, 2017). Now that I’m working for the MOOC review site Class Central, I’ve been wondering, how would I approach this project today, given the wealth of new courses and tools that are now available? When I was doing my No-Pay MBA, there were only a few business MOOCs available, so I basically signed up for all of them. 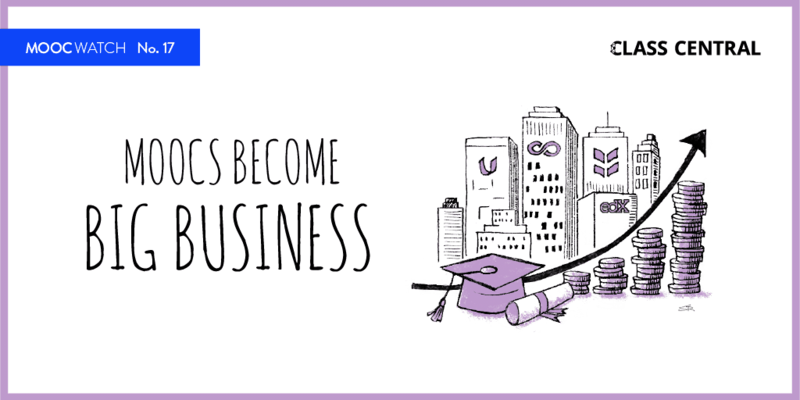 Fortunately or unfortunately, so many respected business schools have released free courses – 1,867 business courses are currently listed on Class Central – that it would be impossible to do that today. Through my studies, I also came to believe that putting together an MBA-level education requires much more than simply ticking through a checklist of course topics. 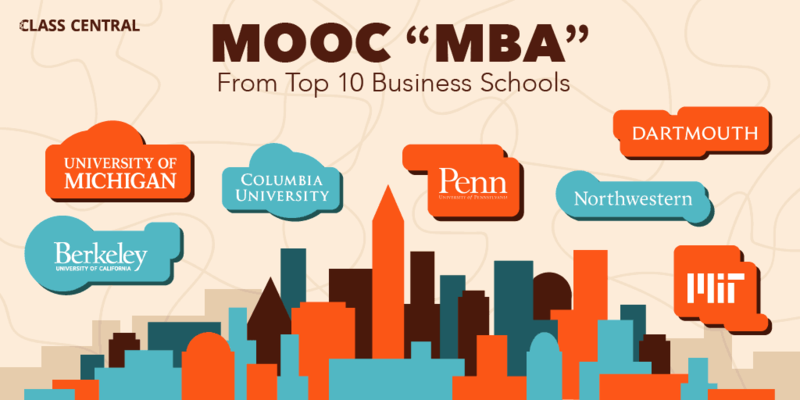 That’s partly because MOOCs differ from on-campus courses in scope, length, and rigor; and partly because creating your own MBA offers a tremendous opportunity to tailor the curriculum to your needs. My advice: start by learning some foundational business concepts in introductory-level courses, then develop some general business skills, and finally, dive deep in an area of concentration. Below is a sample course list that follows this advice, drawn entirely from business schools in U.S. News & World Report’s top ten. I cross referenced the U.S. News list with Class Central’s database to find around 90 courses from top ten schools, including the University of Pennsylvania (#3), MIT (#5), Northwestern (#6), the University of California Berkeley (#7), the University of Michigan (tied for #7), Columbia University (#9), and Dartmouth (#10). I used only courses from these schools not because there aren’t great MOOCs from business schools lower down in U.S. News’ ranking (the full course catalog of the University of Illinois’s iMBA, for example), but simply because A) I had to cut down the number of courses somehow, and B) I wanted to demonstrate that the content for a top-tier MBA is there for the taking. Note: The curriculum below is a pretty solid MBA program. However, it doesn’t include every topic that might be included in an MBA. Some notable gaps: project management, micro- and macroeconomics, and business ethics. It’s also rather light on operations management. Another Note: While many of these courses do involve fees, all of them can be audited for free, either in full or in part. If you’re new to MOOCs, you can learn more about them in Class Central’s Beginners’ Guide to Massive Open Online Courses. The four courses in the Business Foundations Specialization from the University of Pennsylvania’s Wharton School of Business are a popular starting place for those new to the world of business. I suggest taking all four. Quantitative modeling, negotiation, project and people management, decision-making, leadership, and communication are important skills regardless of industry. I recommend taking at least one course that covers each of the aforementioned topics, for a total of between four and six courses. I advise anyone pursuing self-directed education to develop deep knowledge and skills in an area of concentration. This is where you can reap the real value of a self-directed education. Focus on a discrete area, take courses that are rigorous, and put what you learn into practice in real world scenarios. I’ve listed three possible MBA concentrations that could be constructed from courses offered by the top ten B-schools, excluding pre-packaged options such as the MicroMasters in Supply Chain Management from MIT. Entrepreneurship is the obvious choice for someone interested in starting a business. Added bonus: if you’re planning on being your own boss you won’t have to defend the value of your self-directed education in a job interview. With plenty of courses and many opportunities to use your skills in the real world, digital strategy makes for an excellent area of concentration. Being a relatively new field, it may also be easier to get a job in this area without a traditional degree. Finance is a more risky area of concentration, since it can be hard to break into the industry without the right credentials. However, if you already have a foot in the door, there are plenty of finance courses at the MBA level. While this is a great option, my question is how do you establish this education on a resume and express it to an employer or potential employer? I wouldn’t want to put that I have an MBA from some schools while if those schools were contacted there would be no evidence of me obtaining an MBA. So how do you verify the education? Great question! I agree it is a challenge to be overcome with this type of education. My advice is not to put on your resume that you have an MBA, but rather to give the education a unique title, something like “Graduate-level business studies”. Then give a short description of what you did (e.g. Took more than 20 courses as part of a self-directed business education program) and list a few of your more impressive courses below that. For the courses that you list, it would be helpful to actually purchase the certificate, which you can produce as proof of the work you did in those particular classes. It does require more creativity and marketing savvy than just writing “MBA degree” on your resume, but it also costs a whole lot less! That’s the thing. 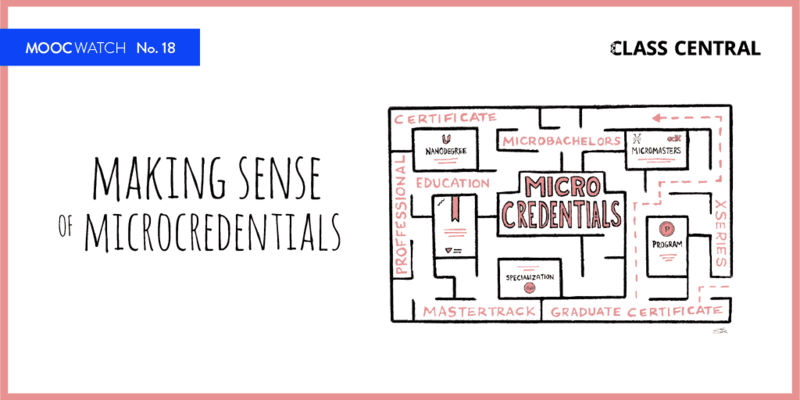 You can get individual certificates for courses you complete, but not the overall MBA. If that is a deal breaker, then this probably isn’t a great option for you. I think you could probably do a program like this in as little as 18 months, but you would have to be very disciplined. A more reasonable estimate would be 2-3 years of part-time study. Thank you for the wonderfully presented outline of an MBA equivalent at little or no cost, other than a personal investment of time and energy which we should always be willing to invest in order to truly succeed. how do i enroll in this programme, i like it! WIll the programme be available after August 2019? No official “program” to enroll in. This is a sample guide for self-directed study. These courses appear to be here for good, so no need to start at any particular time. Thank you so much Laurie. That’s a great job. Aside from MBA program Does MOOC offer the same platform on other Post Graduate studies with other Academic discipline or subject of interest? Thank you. The subjects with the most robust course offerings include business, computer science, and data science. You could easily put together a graduate-level program in any of these subjects. Jeannie will you be kind enough to share a similar article for data science as soon as you do it. This is a great alternative approach to doing a conventional MBA, and it may not be for everyone. Laurie’s book highlights the pros and cons quite well. In my opinion, the value of such a MBA is not just the lower cost (which seems to be played up more than it needs to be), but rather the incredible access to high-quality content from some of the most knowledgeable and engaging professors working at top ranked institutions, that I may have the smallest chances of being accepted into. This looks fantastic!! Thank you, Laurie, for researching and putting together such a helpful list! 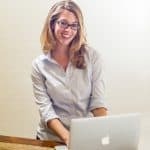 I’m in the process of changing careers (from 20 years of bodywork to data science) and your list seems like a great place to start. I imagine I can customize my own unique list, doing further research and building in this one. Taking the time to complete the No-Pay MBA yourself and then posting such a comprehensive path to taking on this kind of initiative is beyond inspiring; it’s notable and pretty awesome! While a current student in a traditional on-line college, I’m holding on to this information with hopes of completing a NP-MBA one day. If I have correctly noticed, Harvard is let out in the list. Is there any specific reason? There actually are a couple of Harvard courses on this list, under the Entrepreneurship concentration. The reason there aren’t more courses from Harvard is that while Harvard does offer some free courses, the business school has primarily released courses through its own paid platform, not as MOOCs. All I can say is, from someone who actually completed an MBA degree without any concentration, this is a solid, exhaustive list from what’s available in MOOC. Thank you, Laurie, for this. This guide is great for someone who is running a business and does not really care about the title next to the name, but can use the next level learning to support better decision making in moving the business forward. I have professional Diploma in Management Development from the open university UK school. I have taken full courses but not reached MBA. The program was within the MBA program. How could I undertake the rest couses not fulfilled to satisfy my masters degree in MBA? development, it provides room for a better understanding once one has read a variety of courses, although most employers do not understand this. That’s a great job. My fellow readers lets just join her and benefits will be seen later. The world is changing , you never know the future might demand her courses that she has done, and you will be caught napping once you realize that you never did any of her courses when she is actually giving us this important information. Work you have done is awesome. Thanks for this effort you expand to the generations and let the almighty God be with u in all. I liked this programme so much and iam ready to do what needed. My questions is , is it able for some one to come out wit MBA though he/ she stopped on an ordinary level ( O- level) because many countries in the world have different status of education. how have you come out to combine the all levels of education in different countries. Wonderful , This is a great for us . Thank you Lauren for your generosity in sharing this. I’m blown away that this has been made available, and hope that you are reaping the rewards of your studies and efforts! I think that this kind of recognition would be helpful and would add value to the certification. Hie, I see you are not covering the Mechanical Engineering field, is this by design or I am missing something. I am in interested in this field. not appear in a commerce listing like this one. at EdX searching Mechanical Engineering. There are 86 more. Thank you very much for gathering these opportunities together in just one place. Laurie, you’ve done more than noble! Hello, I’m new to MOOCs, are MOOCs considered and accepted universally by Accredited American Universities and colleges? Do you know if universities will accept MOOC courses as transfer credit for conventional coursework in the course of study? (i.e. Basic mathematics MOOC = Basic Mathematics course offered in conventional college degree program)? Or are MOOCs not accepted by conventional universities and colleges as completed course work? I’m just wondering if MOOCs are worth the effort or if MOOCs are considered more of “hobby” education which cannot be applied to or will not be considered as formal higher educational study. in school, it is possible to study in any school, or do home schooling and then appear for a board exam to get certified eg Cambridge or ICSE or baccalaureate etc. Why not create a national or (international) board of examiners for MBA, who allow anyone who has the online certificates, to take a final MBA. Thanks alot for this ❤️❤️. I was thinking about doing an MBA but as I work 40 hours/week I though it would be quite hard to learn so many new things after a working day. I guess this would be quite useful as a pre-learning phase. I guess what I mean is if I would have already some knowledge then the MBA would not be so hard. Does that make sense? This is a great compilation… good effort!! Yet, everyone on this page should remember that MOOCs cannot directly substitute an educational degree. 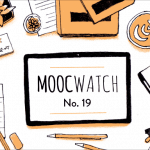 Even the depth in which MOOcs are treated is very different from that of an educational course. The advantage though is – you study the latest and the greatest techniques (educational courses tend to be sluggish in terms of changing their curricullum.. MOOCs dont have that issue). If you wish to establish this on a resume, the only way is to provide an appendix of all the MOOCs that you took and add present that extra page when you actually appear for an interview.